What is a DSE Assessment? DSE stands for Display Screen Equipment which is your workstation, screen, mouse keyboard and work chair. 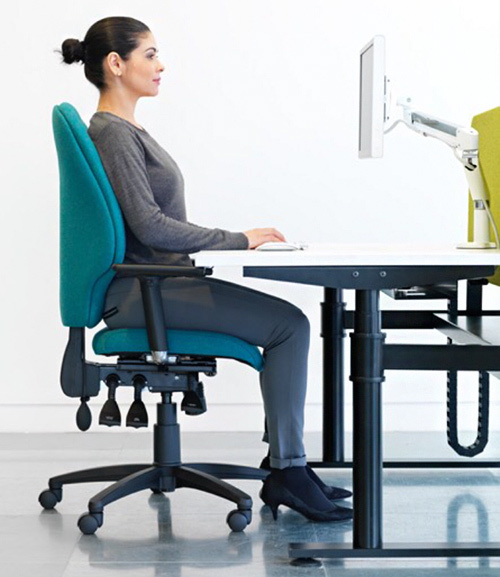 A DSE assessment is an assessment of these components of your workstation to ensure that you have all these items set up ergonomically to reduce the risk of injury. We are the leading UK experts on Display Screen Equipment assessor training and our chartered ergonomists have trained thousands of assessors. Our years of experience is relayed in an easy to understand way so that delegates attending leave with the skills and knowledge to assess people within your organisation that work at computer workstations with confidence. Why does DSE equipment need to be assessed? What does my organisation need to do to comply with the regulations? Our DSE assessor course is a one day course delivered by our chartered ergonomists that covers the theoretical as well as the practical aspects of DSE assessments. The delegates will be provided with all the skills and knowledge to be able to complete DSE assessments at the end of the DSE assessor course and the second half of the course will focus on the delegates applying their DSE assessor skills in a practical session. Certification will be provided once DSE assessments have been completed successfully, guidance and advice will be given throughout the course. Post course telephone support would be available from our qualified ergonomist ensuring ongoing support for all assessors. The DSE assessor training course can be tailored to include your organisation’s process and resources. If you don’t have any process in place we can help develop your DSE assessment policy, DSE assessor documentation in addition to the DSE assessor training.